"HIAS likes to bring invaders in that kill our people. Screw your optics, I'm going in." His GAB account has been pulled, but we're going over it. Bowers: "For the record, I did not vote for him nor have I owned, worn or even touched a maga hat." RB Gab account: "Jews are waging a propaganda war against Western civilization and it is so effective that we are headed towards certain extinction within the next 200 years and we're not even aware of it"
"First Trump came for the Charlottesville 4 but I kept supporting Trump because he is better than Hillary Clinton. 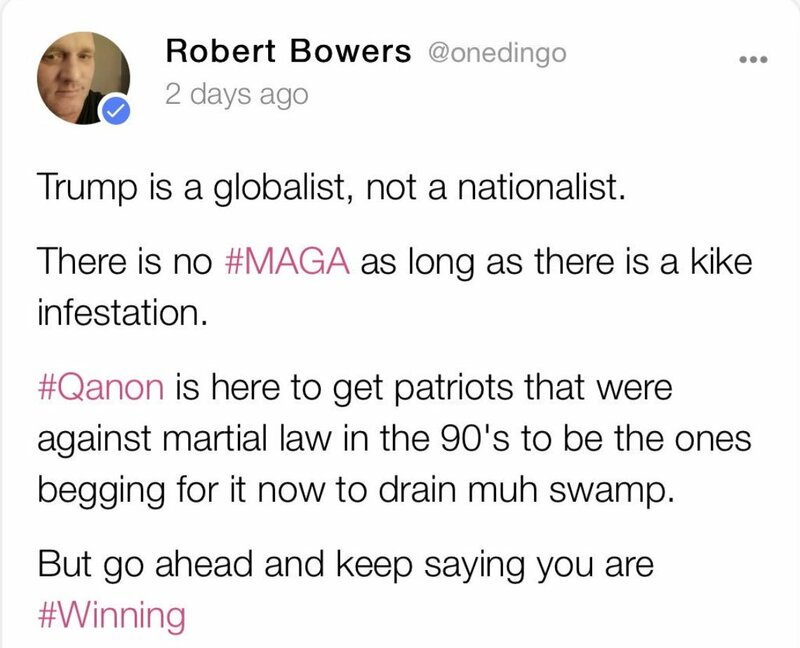 Robert Bowers claimed that Trump was a globalist. But he believed the QAnon theories apparently: "#Qanon is here to get patriots that were against martial law in the 90's to be the ones begging for it now to drain muh swamp." Poor FoxNews, the pretzel like twists they must endure to save their crook president is sad to watch. The coverage of the Trump-Russia scandal is enough to drive them mad. For the past hour I’ve endured FoxNews the voices have been simply unified right wing echo machines who are on simply to bark the lines. Sad that they didn’t at least try to bring on the controlled opposition. Oh boy, it just got worse...Jason Chaffetz is now a FoxNews host. The currently announced knowledge on the RU IRA (Internet Research Agency) shows they didn’t have a genuine ability to relate to the African-American community or weren’t interested. There was not an large effort to influence this community compared to others the did target. 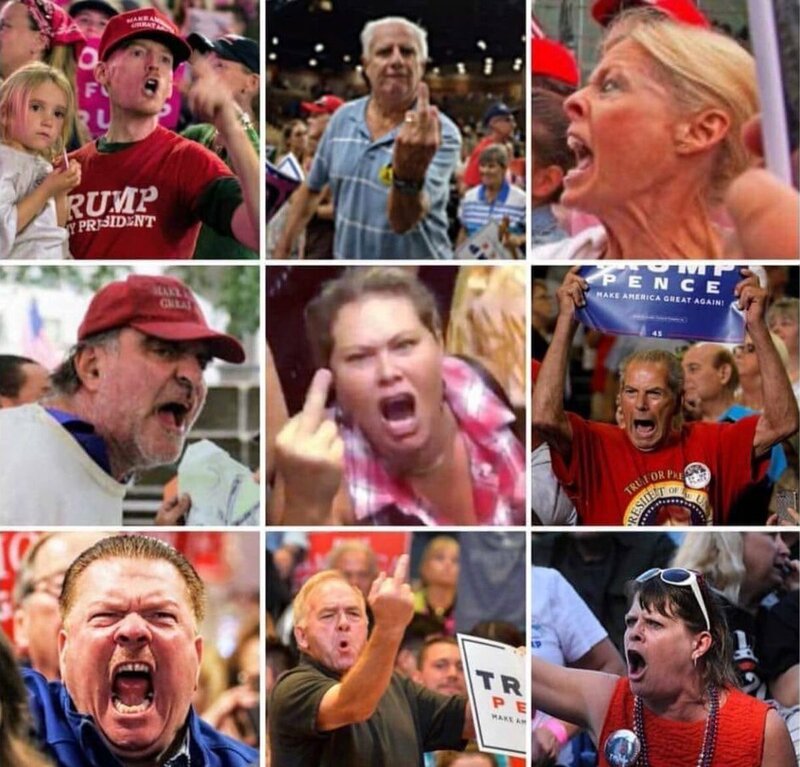 Trump is not accidentally inciting right-wing neo-Nazi violence. He's not unaware of the danger unleashed by his rhetoric. His rhetoric is intentional & the violence it creates is also intentional. Media MUST stop pretending otherwise before it's too damn late. Please read below. 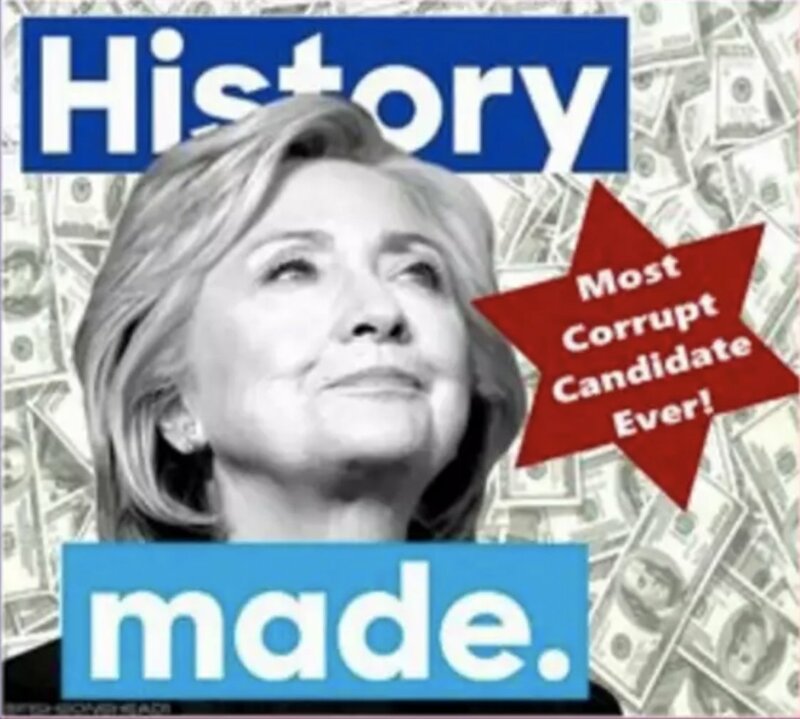 Remember this one - where he claimed he didn't know the 6-pointed star was a Jewish star & had no idea this image of Hillary superimposed over it & images of money was anti-semitic? Law enforcement are studying the social media postings of the shooter. 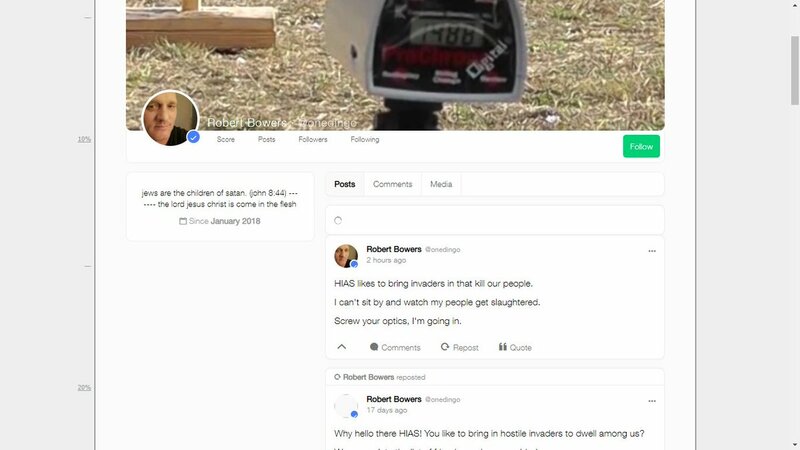 Shortly allegedly committing mass murder, he posted on Gab that he "can't sit by and watch my people get slaughtered. Screw your optics, I'm going in." 2/ This was an apparent reference to immigrants coming into the US. He wrote "HIAS likes to bring in invaders that kill our people." HIAS is a Jewish refugee advocacy group that held a "National Refugee Shabbat" last weekend. 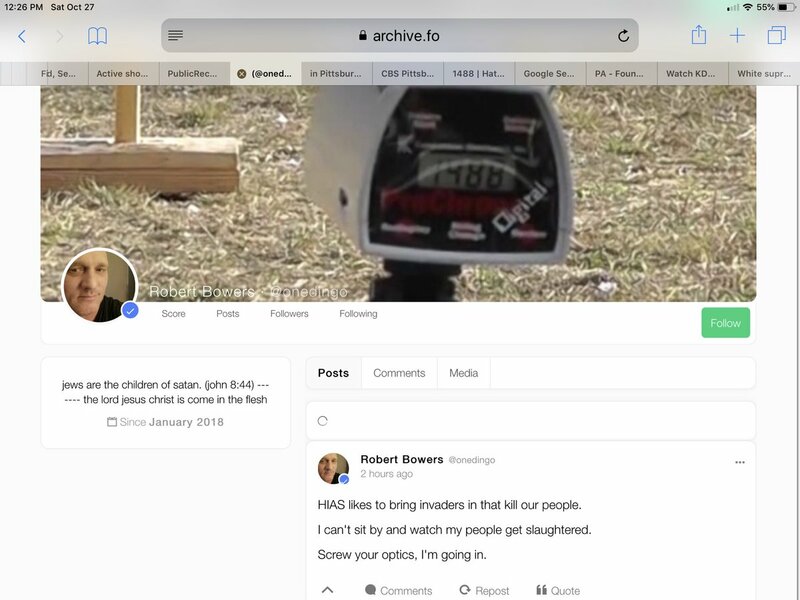 Social media postings of alleged #Pittsburgh shooter show adherence to antisemitic conspiracy theory that Jews are trying to destroy the white race through immigration - aka "white genocide."